All item purchased by Moistmelrose .com are guarantee to be 100% authentic. With the level of detail and durability of the product that you will found in each pair of Japrag denim from design patterns to the etching of the buttons. Japrag jeans offers great value for the money to buyers of the brand just from an economics perspective. The future as the brand’s awareness will continues to grow, but for now, the modest price # for Japrag jeans is a huge win for the consumers at this point. Japrag jeans, are designed by Okishana Samoki. Japrag Jeans are an originally independent French label that started from Paris France and then Los Angeles. The look of Japrag brings a unique urban styling to denim that no other brand for now can match. Buyer you are being warned…be ware Japrag denim will without doubt get you noticed. By wearing Japrag denim you will draw the eyes upon you from who ever is around you. Get used to it. Handling this much attention does requires confidence, and pulling off this look requires a degree of sway. A lot of Japrag client a are members of the entertainment and fashion industry along with celebrities wearing the brand. 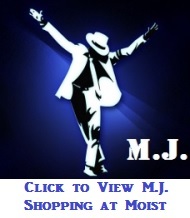 MoistMelrose can and will provides shopping comparison on a large range of products. At MoistMelrose since we carry in the shop a lot more merchandize that is showcased on the website we cannot represent it all here we highly recommend that you call in the shop by phone or in person. Moistmelrose.com is now your authorized dealer and number one destination for Japrag Jeans – offering one the largest selection in the city. All sizes fit European style.